Located in the central highlands immediately to the south of Dili, Aileu includes very steep forested ridges – some lush with tropical vegetation and others dry and rocky, covered in sparse eucalyptus trees and grasses. Beautiful rice paddy ribbons run along the river valleys between the steep slopes making a colourful contrast with the mountain ranges behind. Ainaro municipality, in the southern part of the country, has spectacular scenery from the central mountains to the wild south coast and provides wonderful opportunities for exploring and hiking. This area includes Timor-Leste’s highest peak – Mt Ramelau (2960m) which is sacred to the Timorese and known at Tatamailau (grandfather). The towns of Maubisse and Hato Builico have very spectacular hill settings and the larger town of Ainaro is located at much lower elevation in a lush river valley midway to the Timor Sea. Located enticingly close to Dili, Atauro Island is well suited for a day trip, or longer stay. Atauro is a wonderfully friendly and relaxing destination. While it is the perfect place to laze in a hammock, there is also a lot to enjoy if you want to be more active. Baucau municipality lies in the eastern part of Timor-Leste and includes its second largest city also named Baucau. Set on a breezy plateau overlooking the sea, Baucau has a new town centre with bustling sprawling market and an older centre with a much more sedate air. The attractive older part of town derives a decidedly Portuguese flavour from the Pousada de Baucau and other colonial buildings, some restored such as the beautiful old market square. This area is backed by steep limestone outcrops and shaded by large banyan tree and rustling palms. A clear freshwater spring feeds the large municipal swimming pool – a great place to enjoy a refreshing dip. Bobonaro municipality lies in the far west of Timor-Leste bordering Indonesia and the Savu Sea. Along its northern coastline, beautiful sweeping grey sand beaches can be enjoyed from the road linking Dili and the Batugade border crossing. Covalima municipality is located in Timor-Leste’s south west corner and borders both Indonesia and the Timor Sea. It lies across the rugged mountain hinterland from Dili. With very steep hill country, wide river valleys and lush coastal flats, it has the sprawling town of Suai as its main centre. The extremely large Suai Cathederal is an impressive local landmark. Dili municipality includes the nation’s capital city, beaches to the east and west and the island of Atauro lying across Wetar Strait to the north. The capital also known as Dili is undergoing a rapid transformation with the development of new buildings and services following past destruction. The winding road up from Dili to centrally located Ermera municipality is perfect for road touring and mountain biking – it offers expansive views out to Atauro Island. Manatuto municipality is located to the east of Dili and stretches across the entire country from a beautiful north coast of idyllic white sandy beaches, steep cliffs and mangroves bordering the Wetar Strait, to the wilder Timor Sea in the south. It is one of the country’s least populated and most rugged municipalities with large braided rivers and a very mountainous hinterland. Much of the landscape and its villages have remained virtually unchanged for centuries. The majority of local people speak Galoli. Manufahi municipality stretches from the central mountains to the southern coast. Inland, scenic vistas of the large mountains and expansive valleys are magnificent. Small villages can be found along the roads and on isolated ridges. 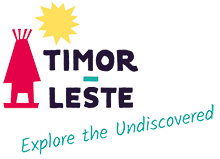 Located in the western part of Timor, Oecusse-Ambeno municipality is separated from the rest of Timor-Leste by Indonesian territory which surrounds the enclave except to the north where it borders the Savu Sea. Oecusse-Ambeno recently has been designated a Special Social Market Economic Zone (ZEESM) by the Timor-Leste Government and large scale infrastructure development and building construction is underway. Viqueque municipality lies on the higher rainfall south coast of Timor-Leste and with its steep terrain, dense forest and rushing rivers offers a beautiful natural setting in which to explore.